You may bring the form to the Washoe County Sheriff’s Office, Records Section, or you may mail it to the Records Section at 911 Parr Blvd, Reno, NV 89512. You must provide a self-addressed, stamped return envelope. The service charge is $10.00 (additional charges apply for more than 30 minutes of research - please contact our Permits Section for the fee). 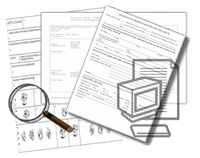 If you mail the form to the Records Section, you must include either a money order or a cashier’s check for the service charge and a photo copy of your government issued I.D. Your request may take up to 10 days for completion (longer if the criminal history information is extensive). 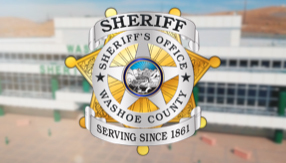 All Washoe County Sheriff's Office arrests and/or bookings for the past 10 years will be provided. A disposition on all WCSO arrests will be provided if available. If a disposition is unavailable, it is your responsibility to contact the court of jurisdiction for that information. We do not contact the court for you. Only Washoe County arrests resulting in a conviction will be provided in accordance with NRS 179A. Signed authorization or other restrictions may apply. Please contact our office at 328-3030 for specific information. IT IS YOUR RESPONSIBILITY TO CONTACT RENO POLICE DEPARTMENT, SPARKS POLICE DEPARTMENT AND THE NEVADA HIGHWAY PATROL TO ENSURE YOU ARE RECEIVING A COMPLETE CRIMINAL HISTORY IN WASHOE COUNTY.